I like me some neck coverage. Covering up your neck really does make you warmer. And fancier. And woolier. I have probably a dozen patterned scarves, but I tend to always go back to a few of my favorite knit and crocheted cowls. Perhaps it’s because they don’t compete with my shirt. Perhaps it’s because I’m too lazy to go upstairs and get something different out of the closet. Either way, my daughter sees me with yarn around my neck quite often. Which is probably why she asked me to make her her own hand knit cowl. Or, at least a crafty kid. Needless to say, I was all over a pint-sized cowl. Together, we decided on Lion Brand Wool-Ease Thick and Quick yarn because it’s fluffy and affordable. (I half expected that the second I finished the cowl and draped it around her neck she was gonna say, “Psych! Mom, I’m almost three and I change my mind more often than you change my sister’s diapers. Did you really think I was going to wear this thing? !”) I wasn’t about to cloak the kid in cashmere. This yarn worked great though and the pattern is perfect for beginners or knitters who are new to circular or double pointed needles. Because the cowl is made from bulky yarn, I knit the entire scarf in less than 1.5 hours, about 2-3 minutes of knitting at a time. I’m not joking. There are a lot of interruptions around here these days. And probably for the next 18 years. [rad_rapidology_inline optin_id=”optin_1″]I’m including instructions on how to knit bigger sizes in case you want to make a matching one for an older sibling or yourself. 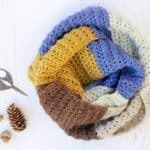 This would even be a great beginner knitting pattern if you skipped the circular needles and instead knit the rectangle on straight needles and then sewed it into a loop. If you’re a beginner knitter and have no idea what I’m talking about, let me know in the comments and I’ll explain! CO: Cast on 41 stitches. 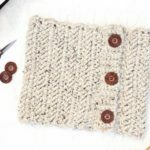 Join for working the round by slipping the last stitch on your right needle to the left and knitting the first two stitches together (40). Place a stitch marker to mark the beginning of the round. Knit in the round. Cont until piece measures 9.5″. CO: Cast on 45 stitches. Join for working the round by slipping the last stitch on your right needle to the left and knitting the first two stitches together (44). Place a stitch marker to mark the beginning of the round. Knit in the round. Cont until piece measures 10.5″. CO: Cast on 49 stitches. Join for working the round by slipping the last stitch on your right needle to the left and knitting the first two stitches together (48). Place a stitch marker to mark the beginning of the round. Knit in the round. Cont until piece measures 11″. Cast off. (Depending on how tight or loose you knit, you may use up the skein a bit sooner, in which case, just begin to cast off before you’re out of yarn!) Weave in ends. Wouldn’t matching cowls be the perfect mother/daughter, brother/sister or BFF DIY gifts this Christmas? Our necks certainly think so. super cute and the cowl is lovely too 🙂 thanks for sharing the pattern! 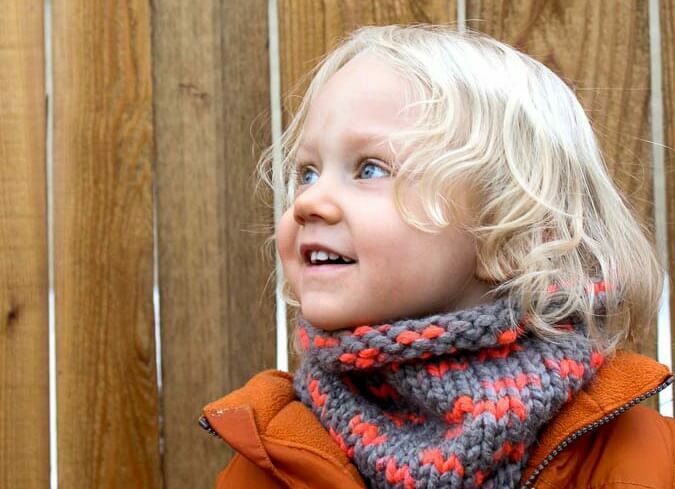 What a cute cowl! It looks soooo warm, too. Thanks T’onna. It IS warm! I just linked up to your party 🙂 Happy to have found you. Linda, thank you so much! I’d love to see a photo if either of them decide to knit it. Please let me know if they have any questions about the pattern. Precious! What a great gift idea! Thank you for sharing with us at Brag About It! Pinning to share. Such a lovely cowl! 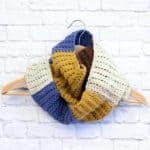 I am a new knitter and only knit flat, I’d love to know how to do this cowl flat. Thank you so much! I hope this is helpful. Please let me know if you have any other questions. 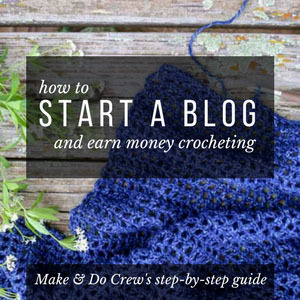 Thanks for reading Make & Do Crew! I love this project but cannot find size 15 circular knitting needles in 9 inches. Where do you suggest I can buy them? I actually used a longer set of needles because I didn’t have 9″ers either. Are you familiar with a technique called magic loop? Basically you knit just as you would with shorter circular needles, but the extra needle cable “loop” sticks out of your knitting and you just transition in through the stitches periodically. Does that make sense? It’s less complicated than it sounds and it keeps you from having to buy extra needles! Win! Let me know if you need help finding a video of this technique. I’d be happy to help you look. Love this! I was just wondering where you got your needles? I can’t find size 15 in the 9 inch size anywhere. I have size 15, 24 inch, which could possibly work for the adult size. I may have to just knit it flat and sew up the seams. I just learned how to use circular needles and love it, but it requires buying them in so many sizes AND with different cable lengths. Congrats on learning how to use circular needles! They intimidated me for a long time. I’ve had that problem finding needles too. I actually didn’t have the correct length cable when I knit this, so I used a magic loop technique. Are you familar with it? Essentially, you just scoot the extra cable through the stitches as you go. Check out that link and let me know if you have questions! Knitting it flat is also a totally doable option if the magic loop seems confusing. ps. I’ve bought double pointed needles on Amazon for a good price, so you might check to see if you find a good deal on circular needles there as well. 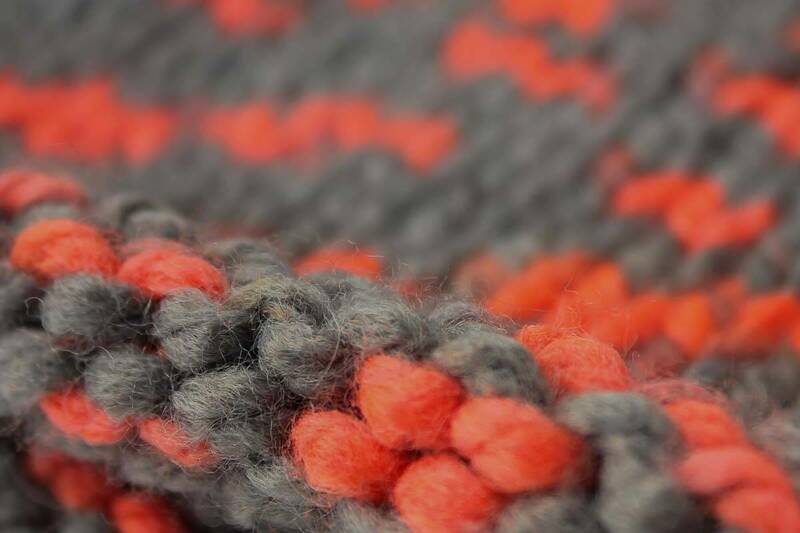 Yeah, a rib stitch could be awesome! 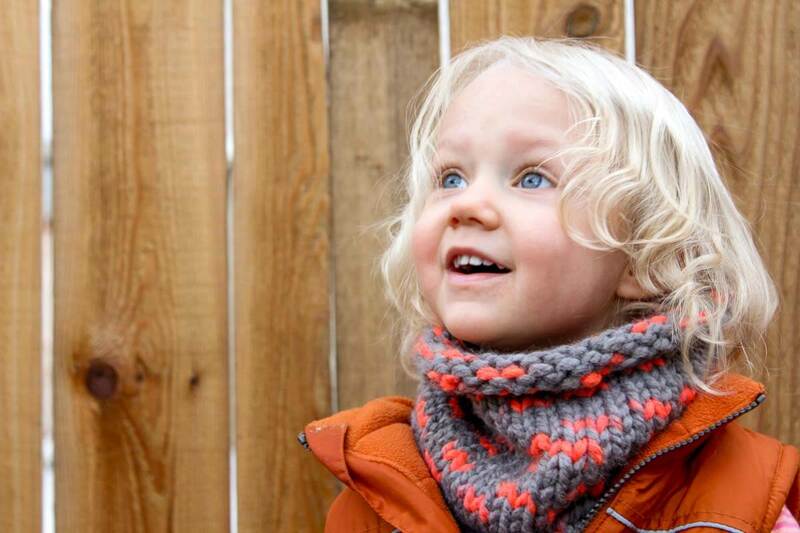 Are you thinking you’d do just a bit of ribbing at the top and bottom or rib the entire cowl? I think if you plan to do the entire cowl in ribbing, it would probably be a great idea to increase your number of stitches a bit since the ribbing will make the weave of the “fabric” contract a bit. 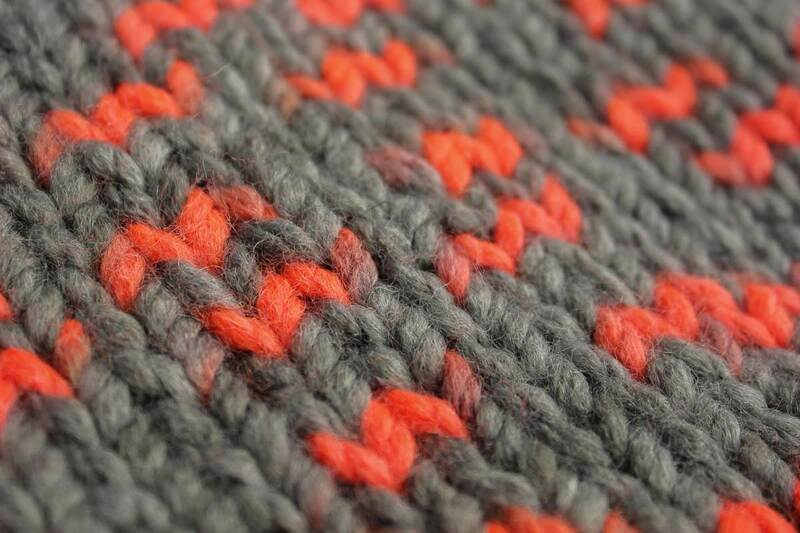 Luckily, this pattern is pretty forgiving, so I’d just add some stitches and give it a shot! I’d love to see how it turns out if you’d like to send a pic (or tag me on Instagram @makeanddocrew). I could only find bernat mega bulky! Any idea how to do the toddler size with this super thick yarn?? I haven’t actually used Bernat Mega Bulky before, but I looked it up and I think it would work great for this cowl pattern. The yarn I used was also very thick so I think they’ll be similar. I love the colors of that yarn. I’ll have to try it! I’d love to see a photo of how it turns out if you’d like to send me one or tag me on Instagram (@makeanddocrew). 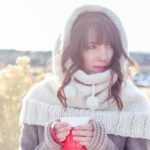 I love the cowl…where did you find US 15, 9″ circular needles. I am stumped!!! Ugh. Well, I actually couldn’t in my local stores. I used a longer needle and then just slid the excess cable through periodically. Does that make sense? 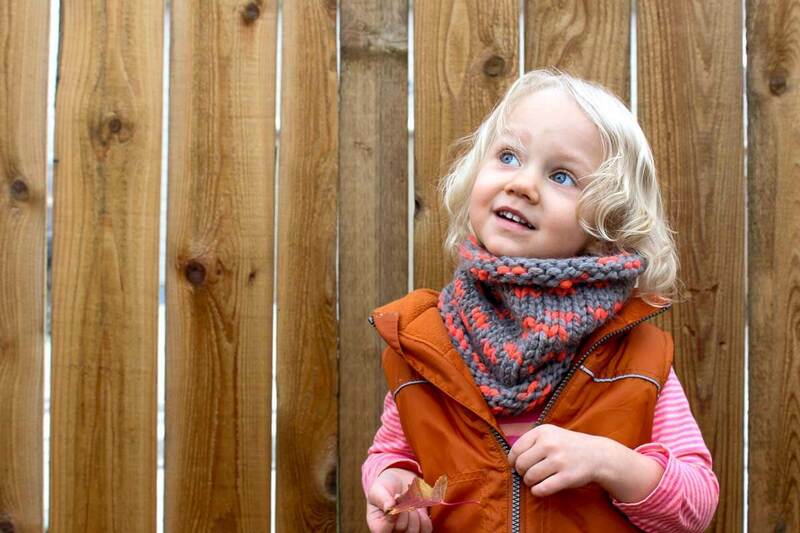 This cowl is super cute and exactly the type I want to know for my daughter. Today we’re hit by -32.8 F here in Montreal and I have to knit this a.s.a.p. :). So for a very begginer knitter like me, who still struggle with circular needles, if I knit flat, how many stitches to cast on for a 2-5 years old size ? and how tall or haw many rows long should I knit ? Thanks for all your help and recommendations. I love the color of yarn you chose by the way ! I love your cowl and this very beautiful photo. I am creating a slide show to inspire my guild to knit cowls and scarves this year (to be shared in January). Thank you for considering. All photo are used with permission. My theme this year is Knitting and Nature. I have spent a lot of time hiking in the woods. You model is delightful. What a lovely idea! Thank you for including my cowl in your slideshow! This is so good! Im a very tight knitter and was wondering what tension I should try and work to? Thanks a million! Hmm. Great question. If I were you, I’d size up the needles a bit (if you already have larger ones) and then just attempt to work it loose enough that it will fit over your (or your child’s head). Does that make sense? Shoot! I’ve just found the perfect wool and just jumped straight into knitting with straight needles… Can I stitch two panels together to form a cowl? Yes! I think that would totally work! I will be knitting in smaller yarn, size 10 needle, what would cast on be for toddler size?